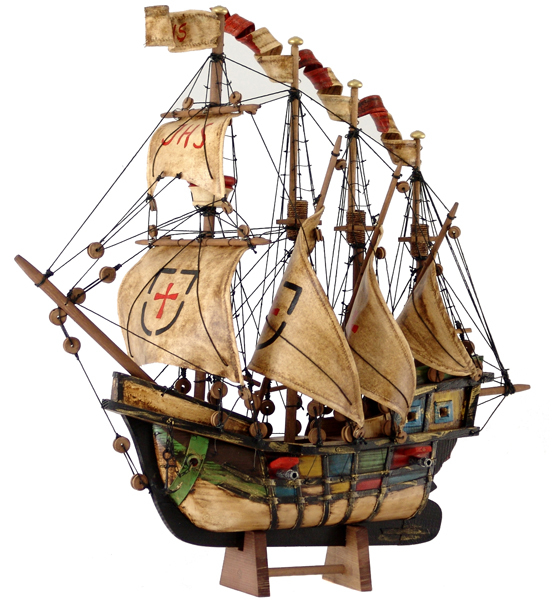 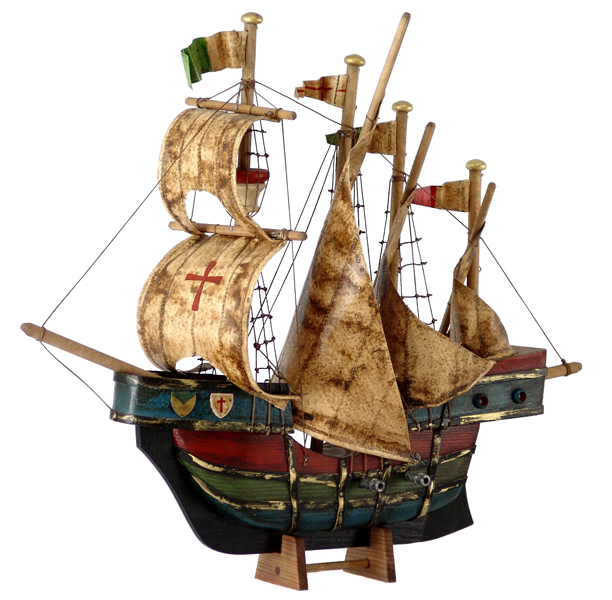 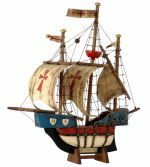 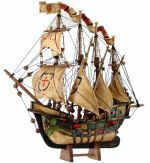 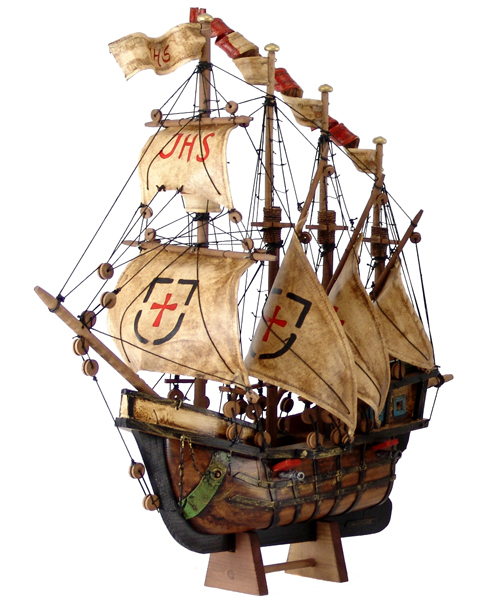 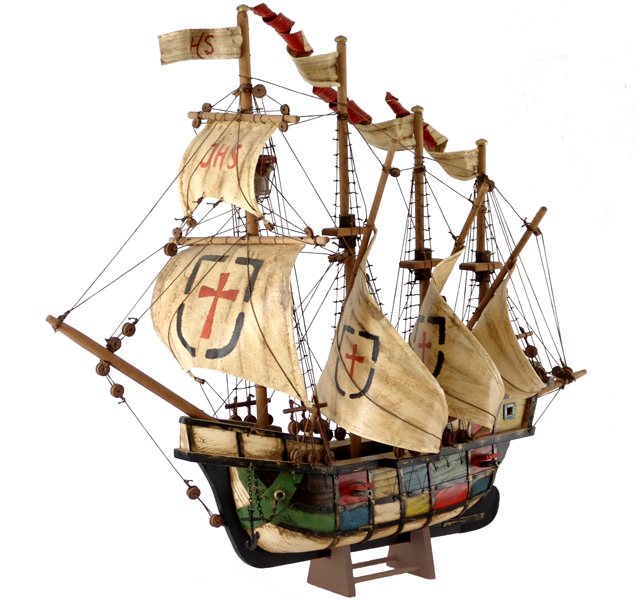 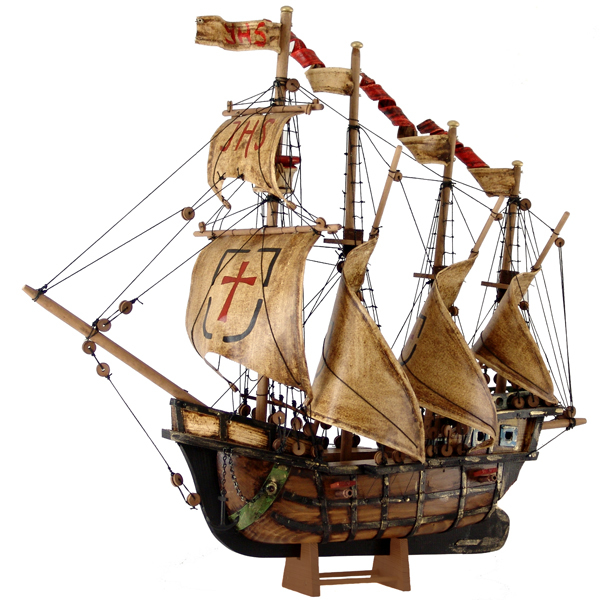 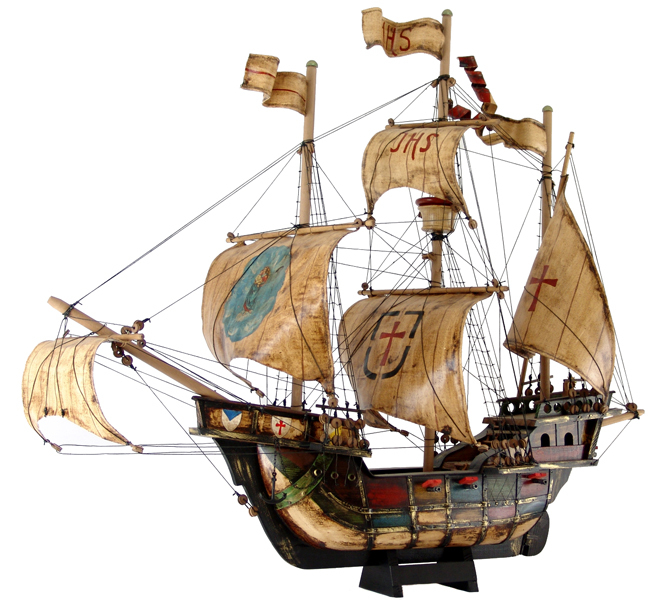 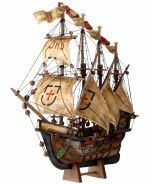 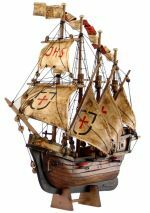 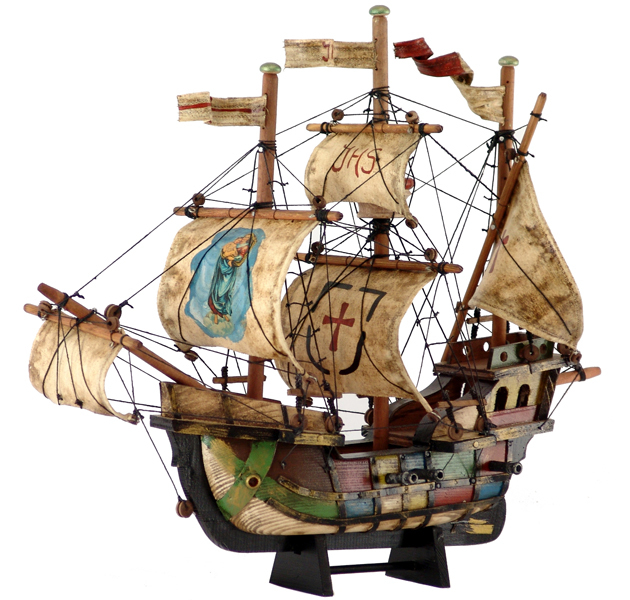 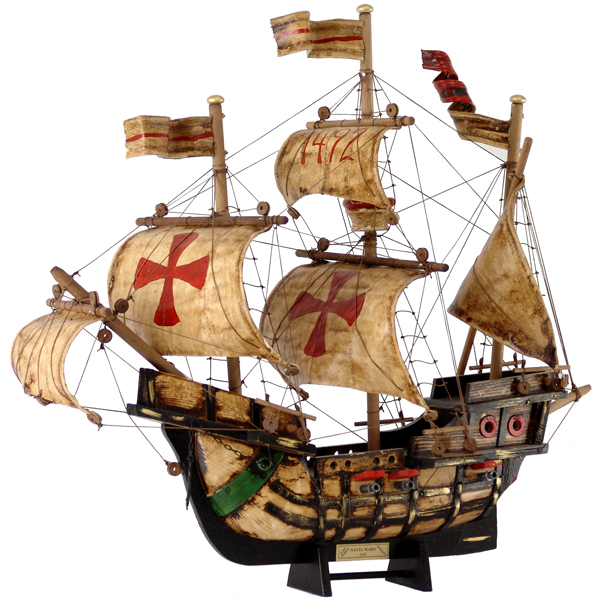 The "Santa Maria", the best-known of Columbus' three caravels, served as his flag-ship when he set out from Palos/Spain on 3rd August 1492 to try and find a sea route to India. 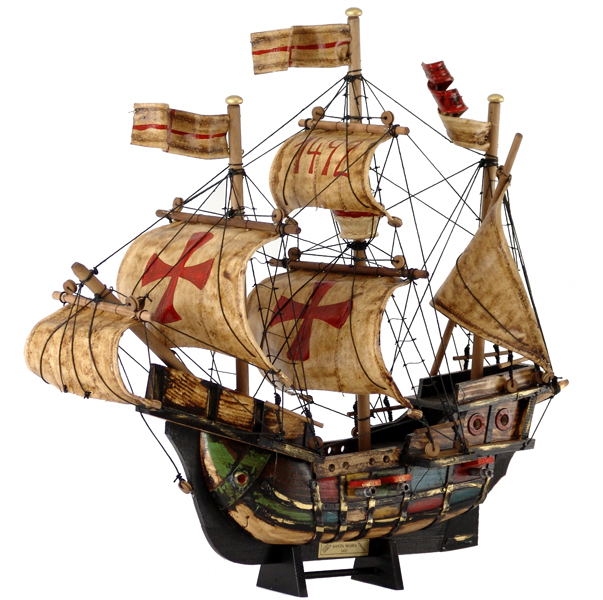 Spotting land on 12th December 1492 he believed to have reached the "Land of Gold" but he had, in fact, discovered the Bahama islands. 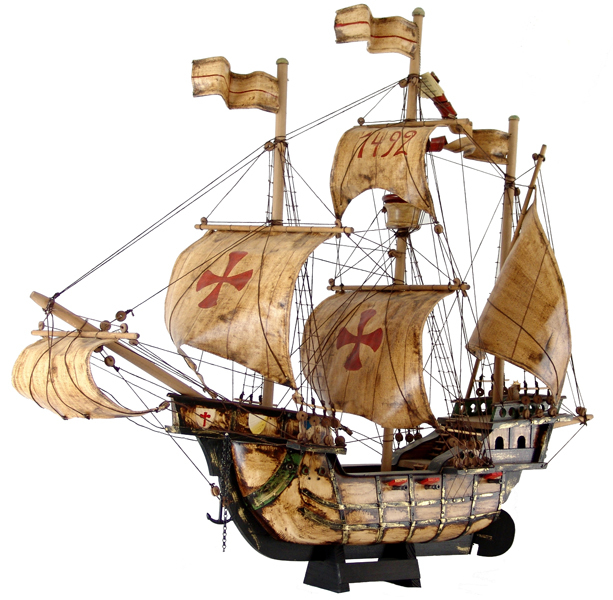 As the "Santa Maria" capsized near Haiti, nothing has been left of the famous caravel. Until his death in Valladolid on 20th May 1506, Columbus was convinced to have discovered India with the consequence that American natives are known as "Indians" up to this day. 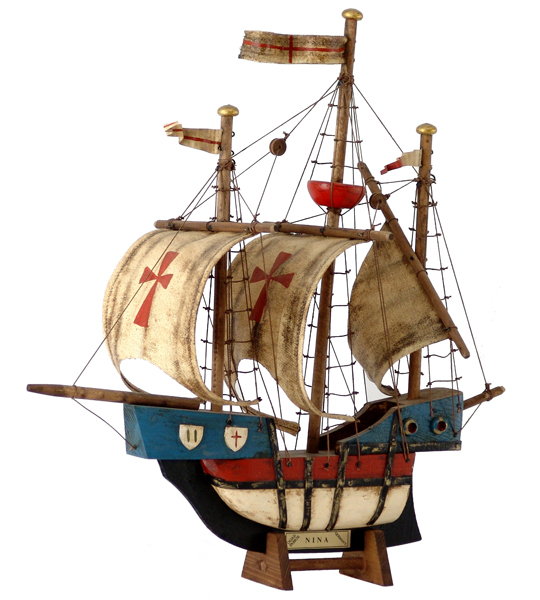 The "Pinta" was the third Caravel in the small fleet when Christopher Columbus set out from Palos/Spain on 3rd August 1492 to find a sea route to India. 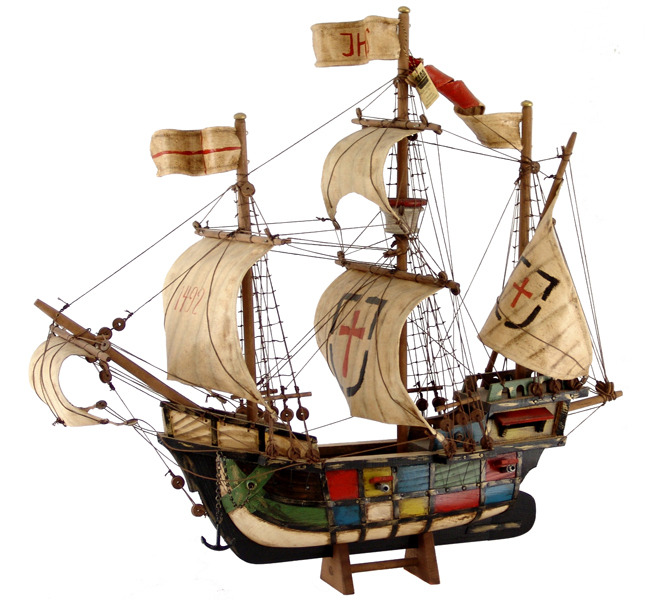 But the land they spotted on 12th December turned out to be the Bahama group of islands. 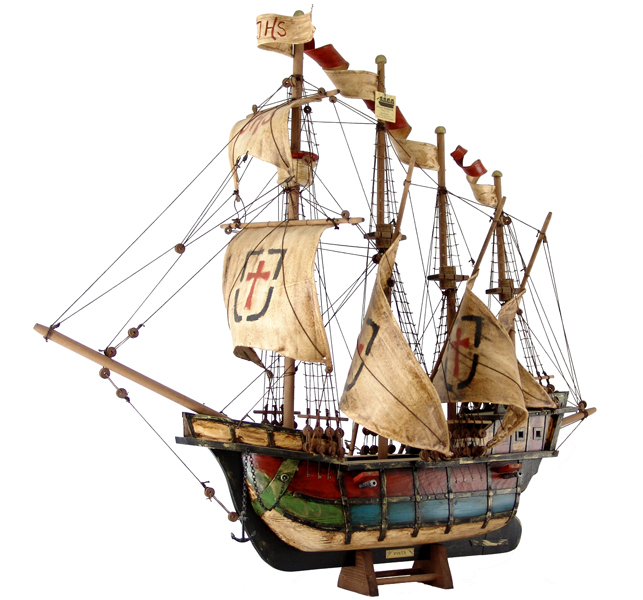 The "Pinta" started the return voyage on 9th January 1493.
the "Pinta" on 9th January 1493.